IBSR is the Gold Standard therapeutic tool that releases trauma and stress from negative life events which have lodged in the body. In humans, the most primitive part of the brain, the brain stem, holds onto "fight, flight, freeze" energy causing the automatic nervous system to be hyperaroused. This leads to an exaggerated stress response. IBSR resets the nervous system so the body regains stability and balance. IBSR is not "talk therapy." Feelings and experiences are not spoken in a session in order to stay out of the cognitive and emotional brain. Any conversation in session is superficial and around topics such as the weather, sports or hobbies. This simple conversation and little eye contact with activating the amygdala allows the process to unfold and causes the release of stress and trauma naturally. Some unfamiliar sensations and body movements are likely when stress releases. You are fully conscious during the entire session and in control. Treatment can be completed in one session usually lasting up to 120 minutes with follow-up. Typically, one session is all that is needed for the nervous system to release the past and pre-verbal trauma. The results are life lasting and effective. 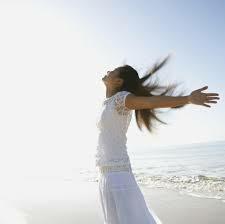 You will also receive knowledge for clearing daily stress after the session.